Our grooming staff uses the highest quality products and handles your pet with TLC to give a positive grooming experience. Freshly baked treats with all natural love! 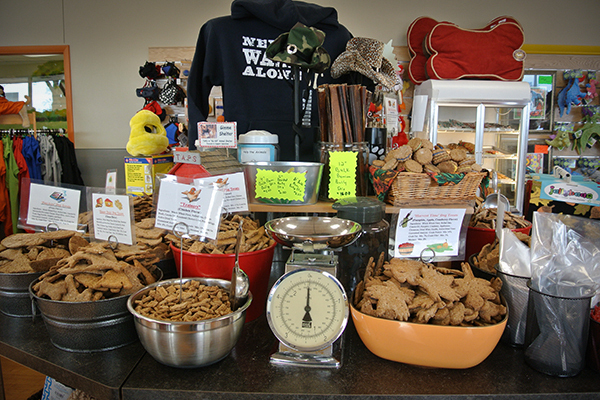 Our treats come in a variety of sizes and flavors to suit every dog! Variety of toys, natural chews, pet beds, collars, leashes, treats and much more for any size dog. Natural, Special Diet, Grain Free, and Raw Diets available. 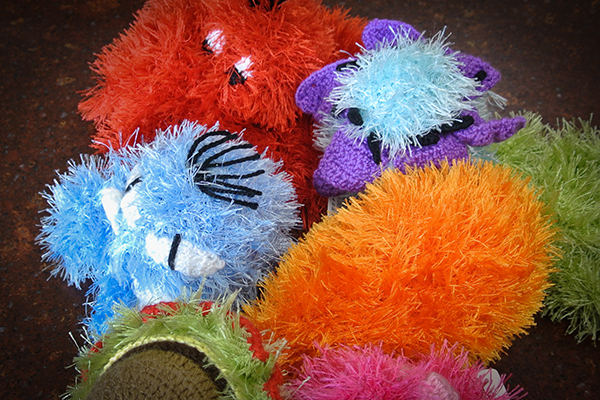 We are constantly searching out the newest and most pleasing toys to keep our furry friends active and happy. 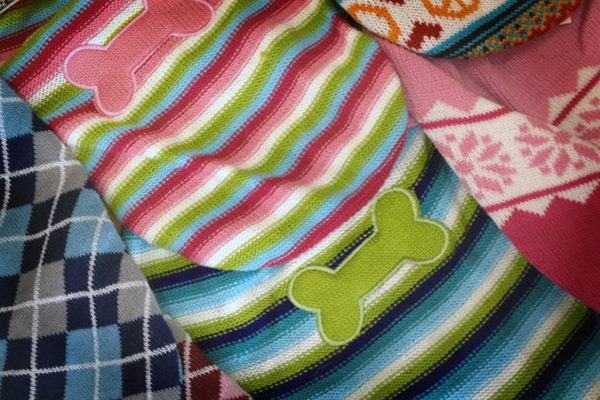 Various options of dog sweaters, t-shirts, coats, and more for your happy hound to show off. 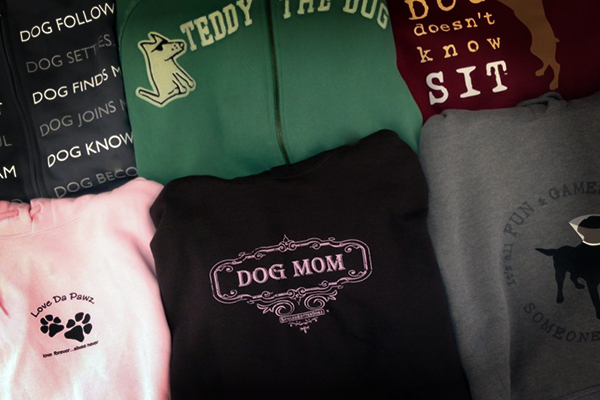 Check out our huge selection of t-shirts, sweatshirts, hoodies, blankets, hats, and gift items for the dog lovers. Wide variety of high quality dog collars, dog leads, dog harnesses and leash sets. Central Illinois “one stop shop” for all your Dog and Cat needs. Offering a full line of food, treats, toys, clothing, grooming and a unique, specialized Doggie Daycare Program for dogs and PUPPIES! My Dog’s Bakery, Daycare, Grooming & Pet Market continues to be a One Stop Shop for all your Dog and Cat needs. We are known for our specially baked treats with all natural love – cooked fresh in our own kitchen. On baking day – you don’t want to miss out on the delicious smells that fill the store. 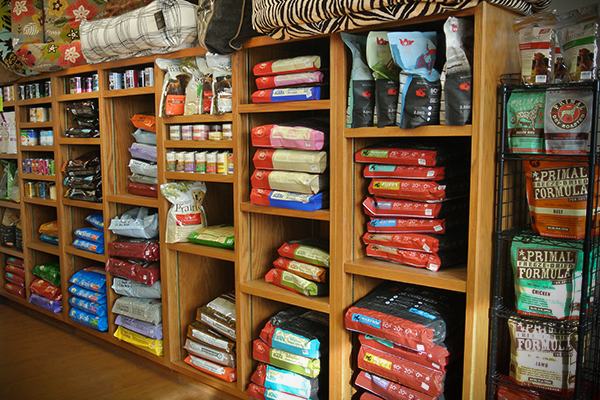 Our retail store is bigger than ever which allows us to bring you the most current products for your dog and cat. Natural chews, long lasting chews and Grain Free treats with a variety of protein sources. Stimulating toys and activities and the most comfortable, stylish beds for your pet. Our Dog and Cat foods are high quality, grain free with a variety of flavors so your pet doesn’t get bored and will always enjoy their meal. From dry to raw, we have a huge selection to fit any budget. Does your dog have special diet needs, digestive or skin problems? Speak with our knowledgeable staff regarding the foods and supplements we offer. Looking for that one of a kind gift item or special toy? Our retail store offers unique, quality toys and accessories. Too busy to exercise your dog – enroll him in our K9Care – Doggie Daycare. Let us entertain them during the day while you are busy at work or shopping. Treat your dog to a massaging bath and pampering at our one-of-a-kind grooming salon. We have experienced groomers ready to take care of all of your pets grooming needs.